If you’re planning a summer vacation, you’ve probably noticed everything’s a bit more expensive than you might like. Of course, that’s no surprise. Summer is the busiest travel season for many popular destinations. The truly savvy traveler knows that the real bargains come later, when the kids return to school and the weather turns cooler. If you can wait just a few more months for that vacation, you’ll be able to stretch your travel dollars a lot further. And now is the time to start planning, as many travel providers are already offering big discounts on fall travel. Here are just a few examples of how you can save by foregoing the summer trip and instead opting for an autumn getaway. Air France Holidays is offering a Paris Escapade vacation package starting at $699 (without taxes and fees), for travel in September and October, or better yet $579 for early November. Prices start at $1,119 for summer travel, meaning you can save more than $500 just by waiting. The deal includes round-trip airfare from New York City (other departure cities are available at a higher cost), three night’s accommodations, daily continental breakfast, hotel taxes and charges, a river cruise, a city map, and airline fuel surcharges. Book by June 11. Europe ASAP provides a slew of independent driving tours and vacation packages for all seasons, but the fall and winter is the real time to save. 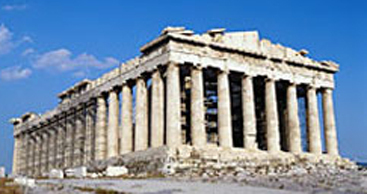 Its Athens Fall City Special starts at $909 per person, which is $350 less than the summer price. The deal includes round-trip airfare from New York City (other departure cities are available), six night’s accommodations, daily breakfast, and value added tax. Travel is valid between September 10 and October 25. Vacation packager go-today.com offers a wide range of deals to places all over the world, and many drop in price for fall and winter travel. For instance, the Treasures of the Nile package starts at $1,799 for travel in September, while it costs $2,229 in July. The package includes round-trip airfare to Cairo; four night’s accommodations in Cairo; daily breakfast buffet; round-trip airfare between Cairo, Luxor, and Aswan; a four-night Nile cruise with all meals; an English-speaking guide; hotel taxes and service charges; and airport transfers. Book by June 18. When it comes to hot climates and reasonable prices, CheapCaribbean is a one-stop shop. Prices drop with the weather, and you can visit the United States Virgin Islands from August 21 through October 31 starting at $689 (without taxes and fees) per person versus the $789 per person summer price tag. The package includes round-trip airfare from Miami (other departure cities are available at a higher price), four night’s accommodations at the Westin St. John Resort & Villas, and a rain guarantee (if it rains on your trip, you’ll receive $100 coupon). Book by June 12. Sceptre Tours provides a full range of vacation packages to destinations across Europe. The Dublin City Package is particularly appealing as it starts at $299 per person (without taxes and fees) for travel between November 1 and March 31, and includes round-trip airfare from New York City (other departure cities are available at a higher cost), four night’s accommodation in Dublin, and a full Irish breakfast each morning. The same package is available during the summer months, but the rates are higher. As I mentioned earlier, these are only a few of the many deals you can find for fall travel. But also keep in mind that not all destinations follow this pattern. Some, like New England, even raise prices in the fall. Have you had any luck with traveling during the fall versus the summer? Is there a place in particular that screams savings during the shoulder season? Please share your experiences or money-saving tales below.